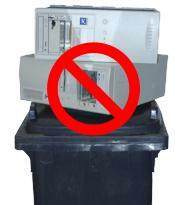 With Precedence ThinIT™, you can convert virtually any old PCs to centrally managed thin-clients. The PCs do not need any operating system (which can save money if purchasing refurbished machines) as ThinIT™ will replace software on the hard disc. Installation only takes a few minutes and doesn't even require a CDROM drive (you can install over a network). A ThinIT™ PC doesn't require shutting down; just switch it off when you have finished. All settings are stored centrally, so no configuration is required on each client. When used in conjunction with a Precedence NetManager, the clients can be controlled through any web-browser. If a hard drive fails or a client stops working, reinstallation is extremely quick meaning you can be up and running with the minimum of downtime. ThinIT™ costs only £35 per machine.